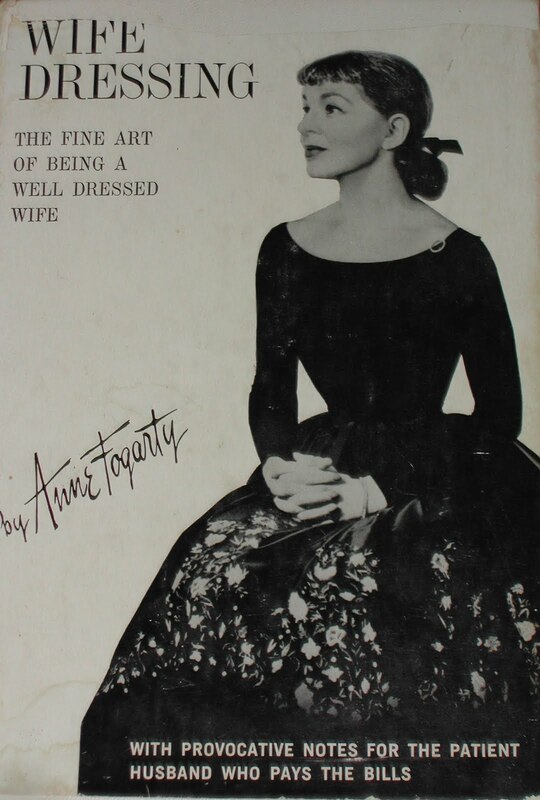 The book was written by Anne Fogarty a famous model who turned designer. If you don’t know her name, you will no doubt no her most famous innovation, the Paper Doll Silhouette, which featured a full skirt over masses of petticoats. "If you adore her, you must adorn her. There lies the essence of a happy marriage." "While the bachelor girl can be a chameleon, forever changing herself over to suit a new whim, a new job, or a new beau, the wife has moved on to better things. She has found her cozy corner and man she wants to share it with. What she must do next is decide how best to dramatize her new role and crystallize her position in terms of her home, her husband, her job if she has one, her friends and business associates." The true irony of this little book is the fact that while she very “wife” obsessed, her ideas of fashion ring true today. You have to hand it to The Victoria and Albert Museum's publishing arm. They produce some great books and often they do not get the publicity in the U. S. that they get in the U.K. If you have and interest in fashion, decorative arts, or textiles, do bookmark their bookstore. It is one of my first stops when I hit the lottery! Or utill I find that patient husband who wants to pay my bills.